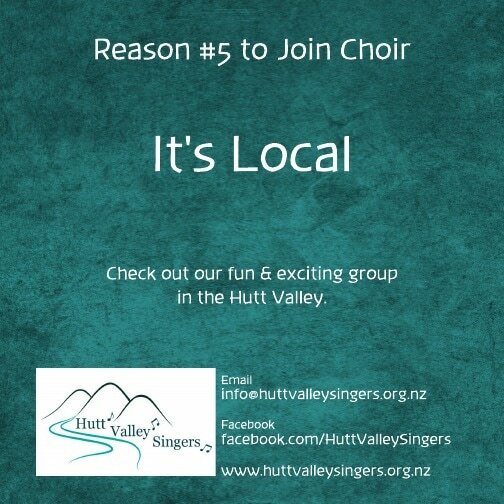 The choir meets in the Pettit Centre, next to Our Lady of Grace Church, corner Fergusson Drive and Palmer Crescent, Heretaunga. Rehearsals are usually on Monday from 7:10pm to 9:10pm. They normally start in February, and continue until the last concert, which may be as late as December.